AP School Education Opening Parallel Sections in the Model Primary, Other Primary, and Upper Primary Schools in the state District wise 3rd phase District wise Schools list For Academic year 2018-2019. AP School Education Opening of English Medium (EM) Parallel Sections in the selected 2049 Model Primary, Other Primary, and Upper Primary Schools in the state District wise 3rd phase from the academic year 2018-19 Selected District wise Schools list. AP Parallel English Medium Primary Model Schools District wise Schools list. 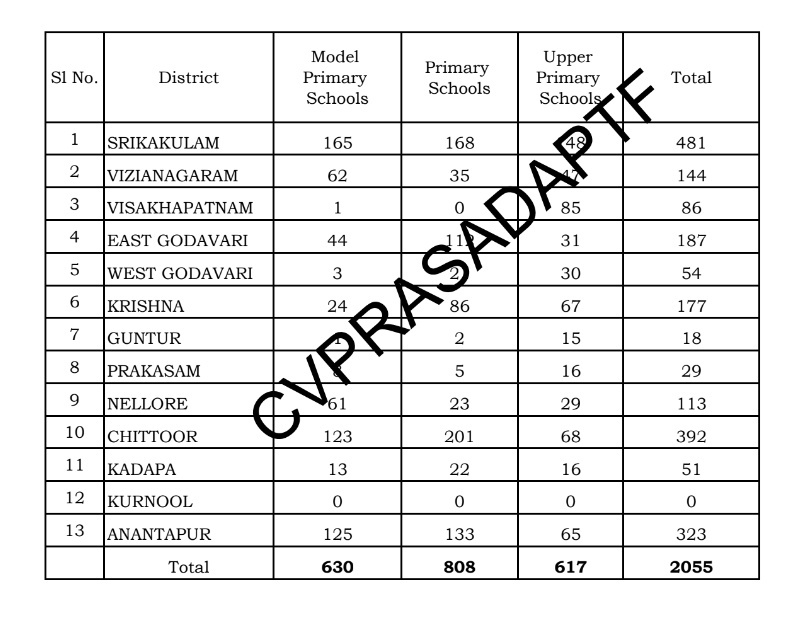 Andhra Pradesh School Education Opening Parallel Sections in the Model Primary, Other Primary, and Upper Primary Schools in the state District wise 3rd phase District wise Schools list For Academic year 2018-2019.